The BBC are currently trialling an evolution of their news website. 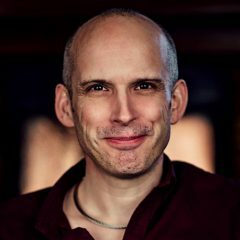 There are some interesting lessons to learn from this new beta site. Like this video? Follow me on YouTube or share it on Twitter. The BBC news website has been looking dated for a while now. But the digital team at the beeb haven’t been sitting on their hands. They are currently trialling a new beta site with a segment of their visitors. 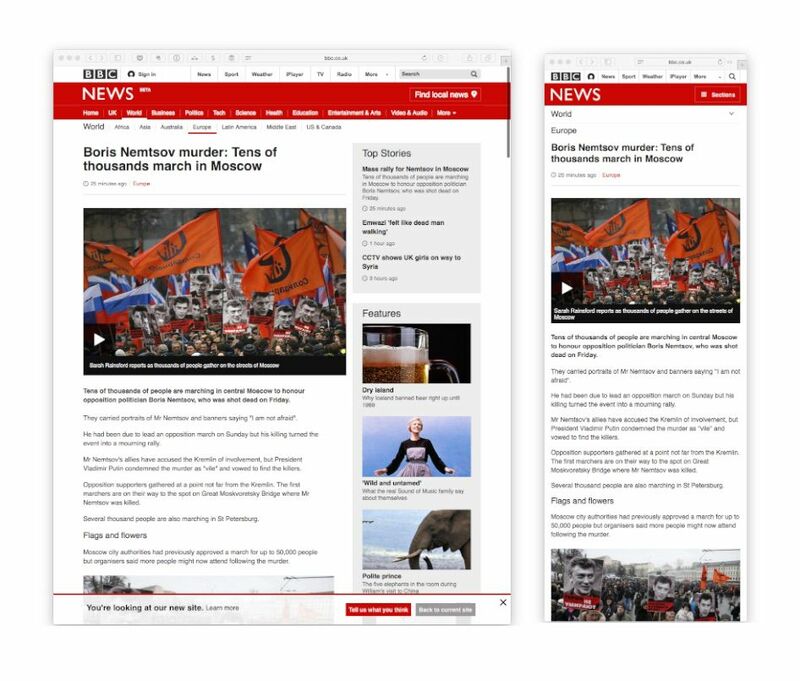 As the BBC is such a high profile organisation in the UK, I thought I would see what we can learn from their approach to the redesign. We start with the most obvious, they have gone responsive. With mobile web access growing exponentially it is unsurprising the new site is responsive. But what is interesting is that they have chosen to go responsive despite having native news apps on many mobile platforms. The BBC’s decision to go responsive despite already having a range of native mobile apps is significant. I agree with this decision. I don’t believe that having a native app does away with the need for a responsive website. This drives home even further the cost of native applications. Having a native app does not remove the need (and cost) of a responsive website. Next up, the have made obvious efforts to make the site less cluttered. They have simplified the site header removing unnecessary imagery, the date and RSS feeds. They then adopt the same approach for the rest of the page, trying to clean things up and remove unnecessary clutter. This is particularly clear when you get down to individual stories. I like the repositioning of social media buttons to the end of the story. After all, people want to share once they have finished scanning a page, not before. The have removed significant amounts of visual clutter. That said, they have made great strides in improving the sites readability. It is obvious that the focus of the redesign has been on improving readability. Font sizes have increased and there is a much better use of white space allowing more room for content. They have also increased the contrast, making for a much more pleasant reading experience. By increasing font size and making better use of white space it has allowed them to increase the width of the main column. This has had the effect of improving the viewing experience for video content as well. They have also improved the scanability of the homepage by introducing a stronger lead story. This makes it clear which stories are breaking, especially when combined with the published time. But once again I can’t help feeling they have not gone far enough in improving legibility. On an individual news story I still found the side column distracting and there was a lot of elements fighting for my attention as I read. Don’t misunderstand, I can see why they have held back. They don’t want the design to be too radical a departure. Perhaps the biggest lesson we can learn from the new BBC news site is what they have not changed. They have showed huge restraint by only evolving the site rather than radically redesigning it. Users do not like radical change. You only need to read the comments on the recent register article bashing the gov.uk website. Now in the case of government you could say that radical action was required. 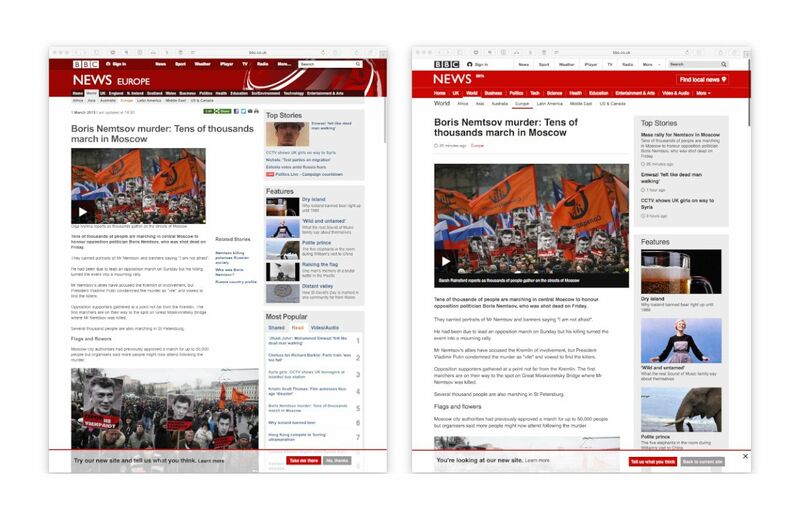 But for the BBC and many other sites, there is no need to start from scratch every time you redesign a site. A natural evolution is a more appropriate solution. When it comes to websites, a natural evolution is a more appropriate solution. Too many organisations feel that a redesign should be a radical departure from what has gone before. In truth that should be the exception not the rule. The old BBC news site had a lot of good things going for it. To throw that out and start again makes no sense. Whether they have pushed far enough is up for debate, but that is why they are running a beta site. Whether I agree with all the decisions made by the BBC team is irrelevant. Even there own opinions only hold so much value. What matters is how users find the experience. That is why their decision to run a public beta is so sensible. No doubt they have been testing the changes they are making all the way through the process. But nothing beats making a site available to the general public. Only then can you start monitoring the analytics of real users interacting on the site in real circumstances. They will learn huge amounts by running their current beta. Hopefully what they learn will become apart of the final site. The truth is a tested site that evolves over time is going to beat a big redesign every time.